From the author of Jurassic Park, a posthumously discovered historical adventure novel set in the Wild West during the golden age of fossil hunting. 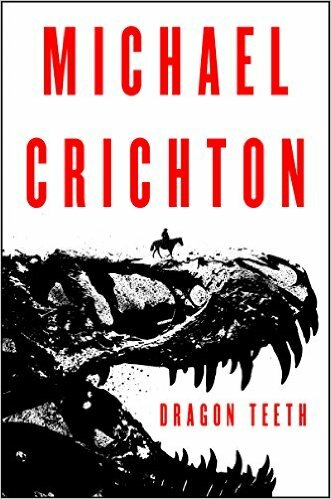 Michael Crichton has come roaring back with an engaging, bookmark-biting historical thriller about one of his favorite subjects — dinosaurs ... Crichton thrives on stirring up historical and fictional events and characters, and that’s what makes this novel so rich. 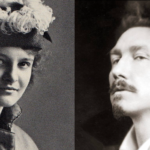 Besides real-life Cope and Marsh, a wonderfully rendered Wyatt Earp and brother Morgan ride into town; Robert Louis Stevenson makes a cameo, and so do some of the West’s most notorious outlaws. Through all the peril and suspense, readers will especially savor the dramatic changes in Johnson’s character as he grows quickly from snotty, immature jerk to hardened, heroic man. Dragon Teeth isn’t 'literary' fiction. Plain and simple, it’s Crichton fiction — a fun, suspenseful, entertaining, well-told tale filled with plot twists, false leads and lurking danger in every cliffhanging chapter. ...a fun and diverting romp through the Old West in search of dinosaur bones ... Dragon Teeth is filled with colorful Wild West characters, including Morgan and Wyatt Earp , and Crichton writes vividly, offering several suspenseful, racing passages ... The novel also touches on the debate between science and religion...But the best thing about Dragon Teeth might be the escape it affords us from such philosophical complexity. It’s all very Tintin Goes West, the kind of adolescent adventure novel where a minor character succumbs to his fate with the last words, 'Damn Indians…Unfortunately, Dragon Teeth will offer little to Jurassic Park junkies. Even William’s accidental discovery of a set of Brontosaurus bones—the titular 'teeth of dragons'—become little more than a MacGuffin in a protracted, Yojimbo-esque stage piece set in the town of Deadwood. On to the next mosquito. Dragon Teeth has no bite. What did you think of Dragon Teeth?